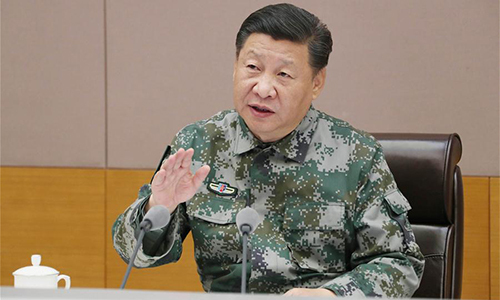 Chinese President Xi Jinping on Friday instructed the armed forces to improve their combat capability and readiness for war. 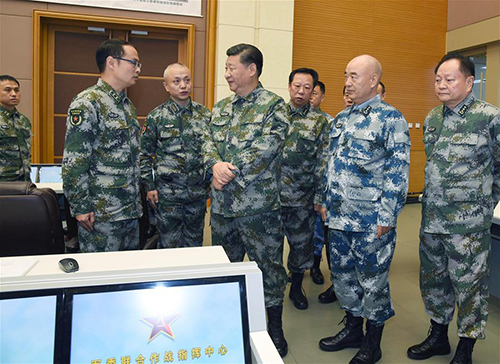 Xi, also general secretary of the Communist Party of China Central Committee and chairman of the Central Military Commission (CMC), made the remarks while inspecting the CMC joint battle command center as its commander in chief. "The CMC should lead the armed forces to be ready to fight and win wars, and to undertake the missions and tasks of the new era entrusted to them by the Party and the people," said Xi, in military uniform. The capability to win is strategically important in safeguarding national security, and strengthening that capability and combat readiness in the new era would provide strategic support to the realization of the Chinese dream of national rejuvenation, according to Xi. Xi called on the military to closely follow the situation of national security and to ensure military preparedness in all directions and all fields. Innovation should be made in studying and planning for combat to adapt to the trend of military evolution, said Xi. 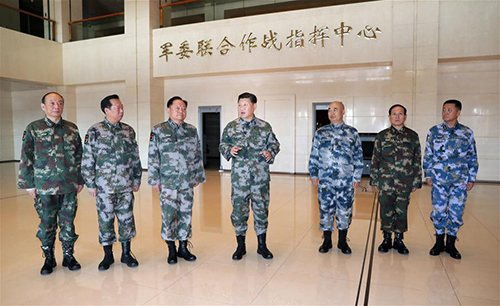 Xi demanded progress in joint operation command systems, especially in efficiency at regional theater command level. Troops were ordered to conduct training under combat conditions. During the inspection, Xi had video chats with troops at frontier posts and a newly established support base in Djibouti. Xi encouraged those stationed in Djibouti to help promote international and regional peace and stability.